THIS ITEM SOLD. Please inquire about similar inventory. 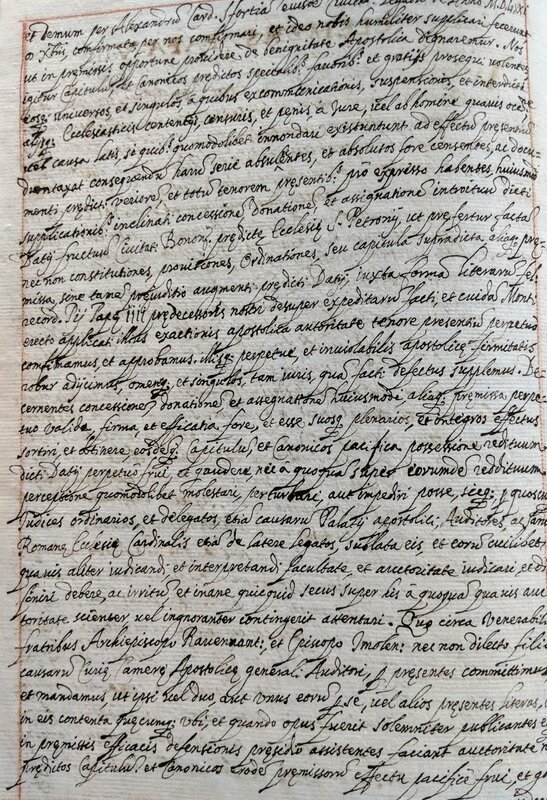 MS – Manuscript, three pages, in a calligraphic court hand by papal secretary and author M(arcello) Vestri Barbiani. 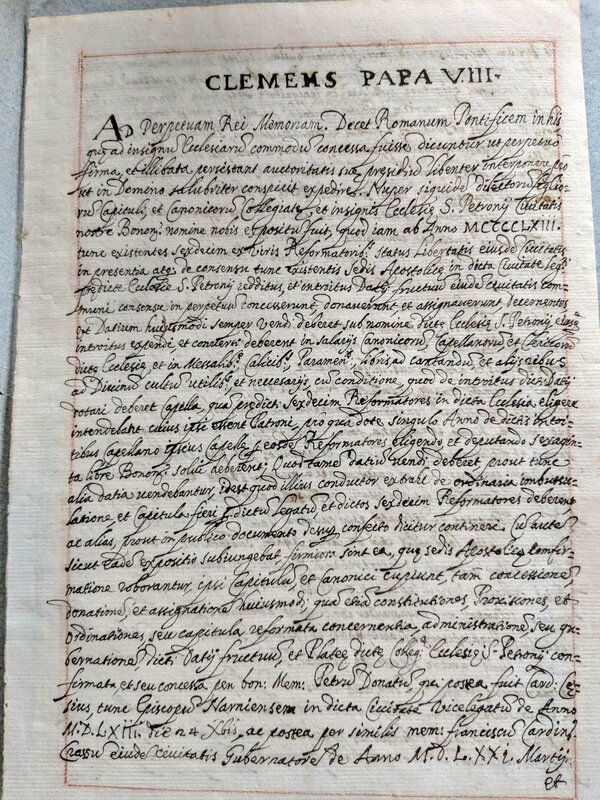 Dated 1595 in the third year of the pontificate of Clement VIII (Ippolito Aldobrandini). This appears to record the appointment of papal legates. It also mentions Cardinal Alessandro Sforza and Pius IIII. 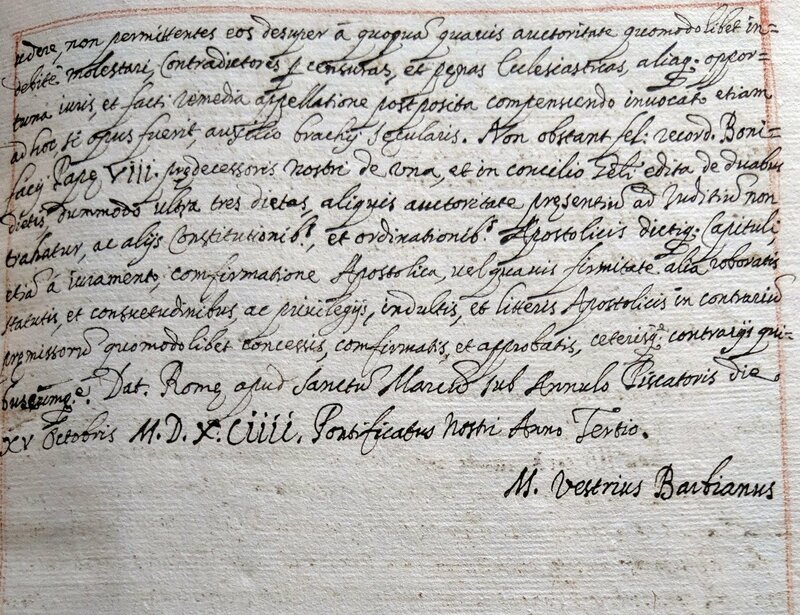 The document is entirely in the hand of papal secretary and man of letters, M(arcello) Vestri Barbiani. 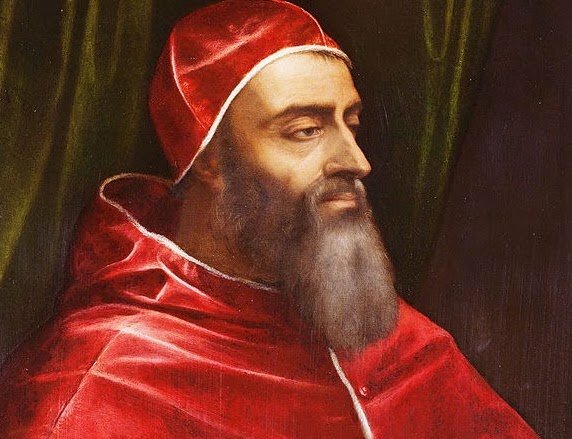 He functioned as a personal attendant (amanuensis) of the Pope, writing letters at his behest and dictation, with no formal registration of the briefs, but merely preserving copies. He was esteemed for his excellent Latin, his extraordinarily beautiful book hand. This likely is from a Lateran Register (copies of official papal ecclesiastical and administrative matters). Merits further research. Some minuscule paper tears at border well away from writing. Otherwise in remarkably fine condition given its age. 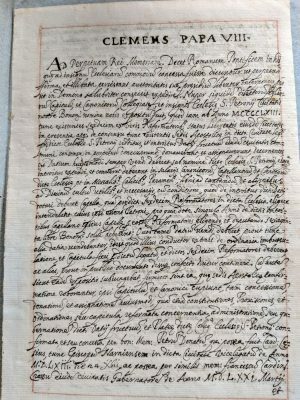 One of the nicest 16th century papal documents we have ever offered.